By the time you read this, it will be too late. My feet will have already given out from bad decisions of deceiving footwear, which should also be recognized as potential torture measures. My head is in a state of delusion and faintness. Caused by the desire for youth on a whim, I believe the term at hand is "nausea caused by swinging at the playground". My throat bears a ghastly sound, one that strikes fear in others; one associated with contamination. So fair people, remember me as I was- in a state of spirit and cute business attire. For tomorrow, my ghost will be seen mindlessly walking the halls of the office; resting only once the routine cubicle seat is found. The sight will be horrid, I warn you. With a pale complexion, tired eyes, and unkempt hair, the greatest sin is found yonder. Gripped with sickness and apathy, I had no choice. I cannot fathom the thought of my own appearance, but I hope that you are more understanding than I.
I apologize deeply for wearing sneakers to work. Good grief, someone bring me some medicine, caffeine, and/or some cheer! Lovely outfit - amazing styling! I hope you will feel better soon! P.S. your writing is amazing! I love your bag! The color is so pretty. LOL, hope you still have fun in the office:-) Love the outfit! Hope you are having a wonderful day! Pretty outfit. Love the bag! I love your outfit Sabrina. Thanks for stopping by my blog and leaving a comment. Will follow you. 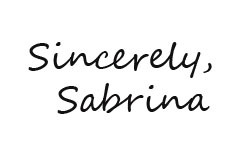 Hey Sabrina! Reading this post I definitely had no idea it was going to be about wearing sneakers lol. I guess it depends where you work how acceptable it is. I really like your booties!